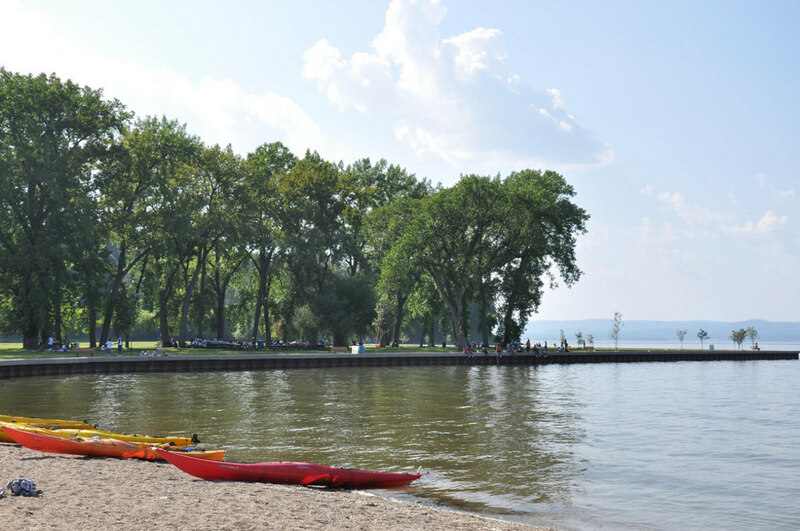 Croton Point Park is the ideal spot to bring your SUP (or rent one there) and enjoy a leisurely day on the water, alone or with a group, removed from the stress of the city. In Manhattan, getting out on open water isn’t a frequent luxury, so when I do make the trip to Croton to get out, I want to make the most of it. 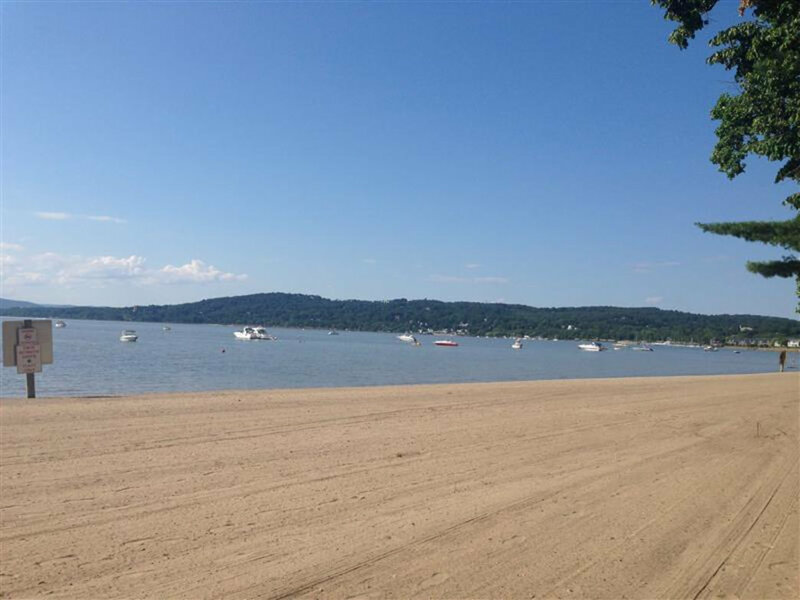 If you love the idea of stand-up paddleboarding (SUP) but can’t afford to buy a board, or store it in your tiny Manhattan apartment or hotel room, don’t worry—there are plenty of rental options in and around the city, and one of the nicest options is just north of the Tappan Zee Bridge in Croton Point Park. This is a great spot to enjoy a calm paddle on quiet water—the park has an inlet that’s practically made for the lazy SUP-er, but it’s an easy switch to venture a bit further into open water and be in some more intensive paddling in the Hudson.The beach at the park is rarely crowded, even on weekends, and it’s a nice spot to relax after a leisurely—or intense—paddle session. 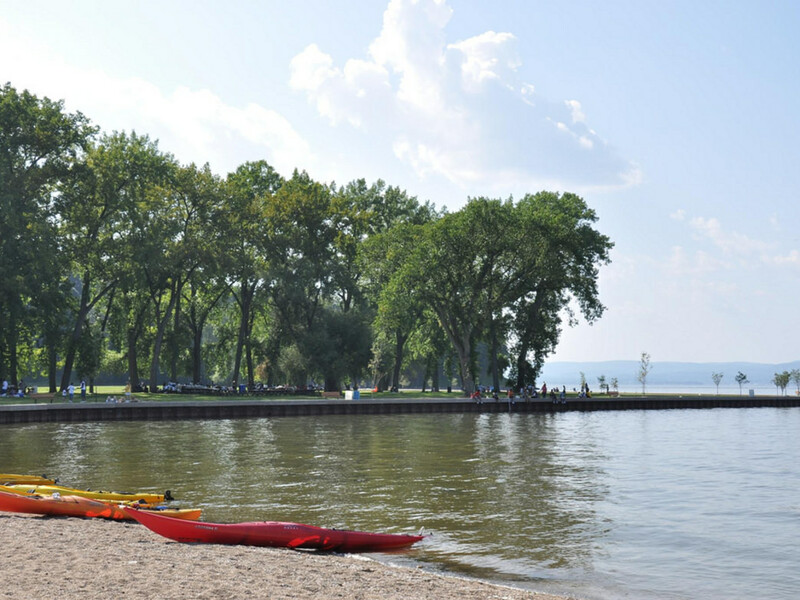 Plenty of small boats and kayaks also use the park’s boat launch, and on nice days, you’ll be sharing the water with them, as well as a few sunbathers floating on rafts. Swimming is also allowed in certain areas, if you’re in the mood for a dip after paddling in the sun. 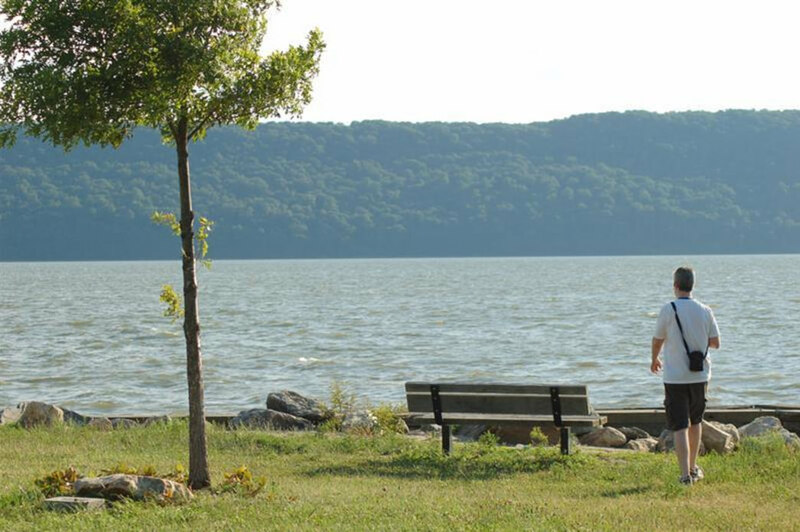 If you go all the way around the peninsula at the park, you’ll reach Croton Bay, protected from the currents of the Hudson, and a fun spot. When weather gets nasty, the water can turn rough, and of course, always wear a life vest. While technically, the SUPing is done on the Hudson River, the small inlet is perfect for beginners or those looking for an extremely relaxing time on the board. 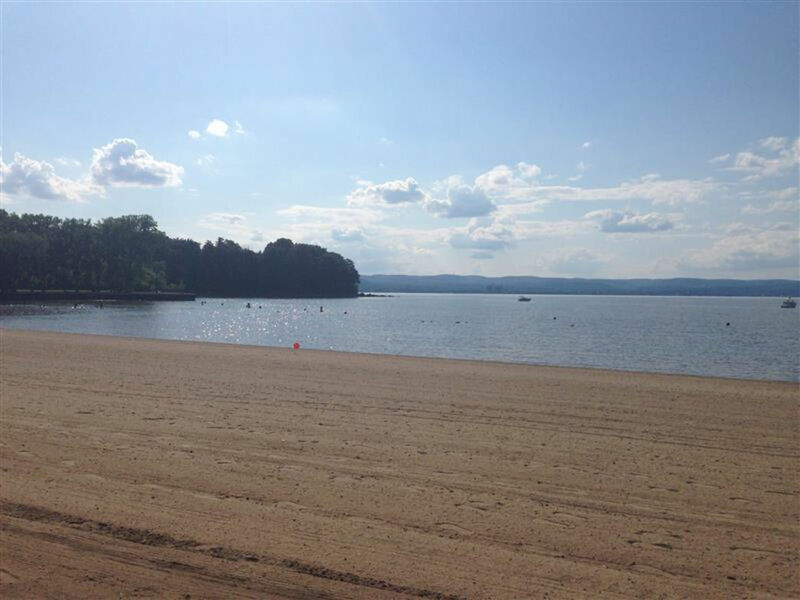 To get there via public transportation, take the Metro-North Railroad’s Hudson line to Croton-Harmon, and you’ll be right by the park entrance. If you drive, parking is $10 right near the boat launch. Hudson River Recreation rents boards at the park, at $30 for an hour or $59 for three hours. Advance reservations are required though, so don’t just show up and expect to snag a board. Also note that “Participants must have successfully completed a Stand Up Paddleboard lesson OR be able to demonstrate appropriate paddling skills.” So if you’re a total newbie, consider signing up for one of their lessons prior to just renting the board. Twilight paddleboard lessons are also available, and they’re just plain fun.